My favorite thing about taking portraits is capturing people's personalities. (There's a reason I became a portrait photographer...people are so much more fun to photograph than landscapes or bowls of fruit!) 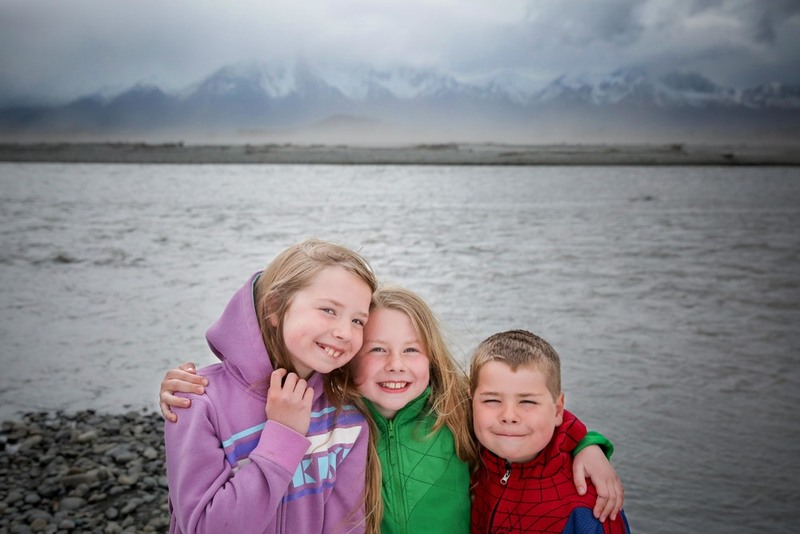 And during this photo session in Palmer, the personalities of these three kiddos definitely came across! Amelia is the oldest and a total sweetheart. She definitely watches out for everyone and makes sure everyone is taken care of. It's really sweet the way she looks up to her Mom too-- which was literally captured in this photo as she glanced over at her during this shot. She is very observant and quietly adventurous. And now we come to dear, little Max. It was such a fun session with this group. We started out by enjoying some Italian sodas (gotta get them all sugared up and excited for photos, right?!) They climbed some trees, found a message in a bottle, and raced around in their Grandparents' yard. All in all, a wonderful day and captured some fun snapshots of this time in their lives.